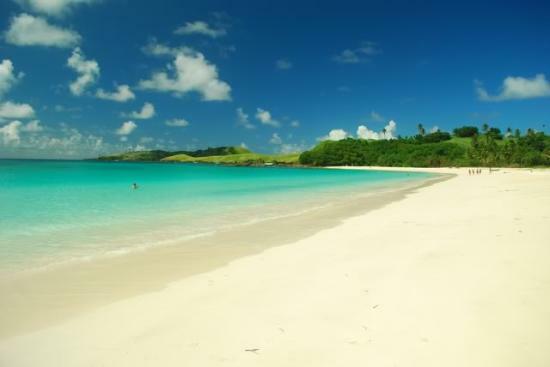 Calaguas is popular for its beautiful white beaches. It includes the major islands of Tinaga Island and Guintinua Island, the minor Maculabo Island, as well as several other minor islands. The island is one of the best summer destinations in the Philippines. Both local and international tourists are enjoying the relaxing ambiance and magnificent views of the place. Mahabang Buhangin (Long Sand Beach)is the most visited place by outdoor enthusiasts, travelers and backpackers. It features a long stretch of beach with powdery white sand, pristine clear water and unspoiled natural resources. On the commute way, take a bus bound to Camarines Norte. You can find its terminal in Cubao, Quezon City (near Ali Mall), Pasay (near MRT Taft) and Alabang (near Metropolis Mall). Famous bus lines that offer Manila to Daet trips include Philtranco, Superlines, DLTB Amihan, Raymond and Penafrancia. The bus fare will be around Php500 -Php600. Travel time is around 8-9 hours for bus and 6-7 hours for a private car. If you want the fastest way going to Bicol Region, travel by plane. Local airlines such as Philippine Airlines, Cebu Pacific and Air Asia are offering flights from Manila to Naga. From Naga,take a vans bound to Daet. Fist trip is at 5am and the last trip is around 7PM. Van terminal is located at Naga Van Terminal. From Daet, take a jeepney ride to Minaogan fishport in Vinzons which takes 20 minutes. Then, take the boat going to Barangay Banocboc which leaves daily at 11AM. Look for a banca or a fishing boat going to Mahabang Buhangin (boat cost around P500-P3000). From Daet, take the public van to Paracale, From there, go to the fish port.Hire a boat to Tinaga Island and dock at Mahabang Buhangin.